Have You Been Injured in a Motorcycle Accident in Southern California? Being a victim of any motor vehicle accident can be traumatic and let’s face it, motorcyclists are at far greater risk of being seriously injured or even killed without the protective cocoon of sheet metal that the drivers of the offending drivers are insulated by. The motorcycle accident attorneys at Curd, Galindo & Smith can help. Depending on the circumstances surrounding the motorcycle accident, you may be entitled to financial compensation for lost time at work, your past and future medical bills, any temporary or life-long disability, livelihood, damage to your motorcycle and other equipment, and even pain and suffering. Get out of Traffic: Get out of the traffic lanes or off the road at once. If possible take a few quick pictures with your camera or smart phone camera and then move all vehicles off the road to a safe location. Collect Information: Exchange information with other drivers involved. Get the name, address, phone number, insurance information, and drivers license numbers of all accident participants and witnesses. Make note of vehicles involves (and present) including make and models, license plate numbers and description. Before searching for paper and pen, your smart phone’s video camera is an excellent way to record ALL of these MUST COLLECT DETAILS before anyone slips away. Call the CHP or Local Police: If anyone is injured, or is there is any vehicle or property damage greater than $500 you are required to call the police! The police report can be vital in your effort to recover financial damages for your medical bills, your bike, and clothing. Remember, you may not think you are injured, but some injuries manifest themself in the coming hours and days. Take Note of Your Surroundings & Road Conditions: Make notes or record by camera your surrounding, the time of day, lighting, visibility, amount of traffic, road conditions. signs, speed limits, and direction of travel of any vehicles involved. NEVER ADMIT FAULT! : Law school rule number one. Often times, the exact cause of an accident is unclear to even those involved in the accident. While you may want to console or apologize for being involved in an accident, just DO NOT GO THERE. In fact, BE CAREFUL WHAT YOU SAY to anyone at the accident scene. Statements at the accident scene can have serious ramifications later on. 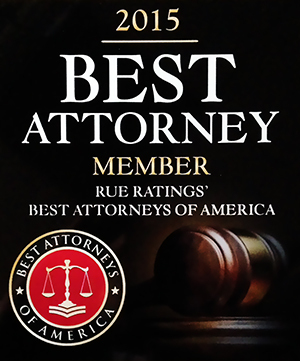 With extensive experience both in the courtroom and at the bargaining table, we offer strong advocacy for motorcyclists and their passengers who are injured as a result of others’ recklessness or carelessness. 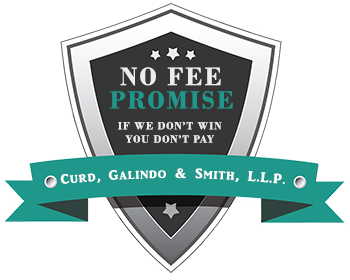 The motorcycle lawyers at Curd, Galindo & Smith have the experience and the resources to fully investigate the scene of your motorcycle accident and collect other critical evidence. We can help establish liability on the part of the other driver related to careless, reckless or negligent driving, speeding, running red lights, or driving drunk.